» ICEcare » Home Plan ICEcare on your mobile phone could save a life... yours or someone you know! Sometimes, it may not be safe to go home! 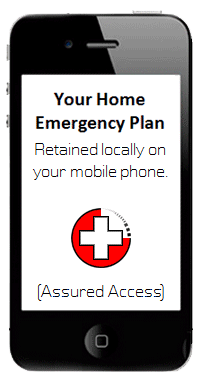 All your family members can retain your home emergency plan on their mobile phone! Every family should have a home emergency plan with details outlining where to meet and what to do; and for families with younger children, what to expect from others at that time. Often during disruptive times, some elements of modern society may resort to violence; which would otherwise be non-existent. As an adult you would be able to make a judgement call based on the situation but to keep your family safe, you will need to have a well defined plan. Younger children may not be able to judge the situation so having a home emergency plan helps. Depending on the circumstances and the nature of the emergency, the first important decision should be for a meeting point. Having your family together will reduce worries and provide a sense to comfort for all involved. Sometimes, it may not be safe to go home. 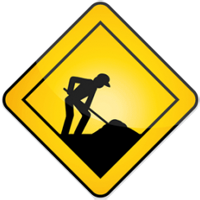 The plan should include contingency for an alternate meeting point, in case the first meeting point is inaccessible. Distance may be one of the biggest barriers for all members of a family trying to reconnect at that time. Depending on the severity of the situation, it may take much longer to travel the distance. For instance, if the bridges and ramps are destroyed, then driving may not be possible. Walking may be the only viable option and would significantly increase your travel time. If the terrain involves water, then going around it may greatly impact your travel time to reach your defined meeting point. Children should know that it may take much longer for their parents to get to the meeting point. If possible, parents should make an effort to team up with other parents in the neighborhood to accommodate children during those times. You should also inquire about emergency plans at places where your family spends time: work, daycare and school. If no plans exist, consider volunteering to help create one. Talk to your neighbors about how you can work together in the event of an emergency. You will be better prepared to safely reunite your family and loved ones during an emergency if you think ahead and communicate with others in advance. Emergency does not happen everyday so it is important that your Home Emergency Plan include all to do's for each and every member of your family. For example, who is picking up the children, who will be shutting off gas and electricity (in case you are meeting at home), where will you meet, an alternate meeting point, your committments in your neighborhood, etc. You should improvise on this framework based on how it may be relevant to you. Keep in in mind that you may not be able to communicate with others remotely as the network may be inoperational or be congested. As far as possible, use SMS or Text messaging as it uses least amount of bandwidth. To learn text messaging with your phone, it may be best to talk to your child (they are known to be better at this than adults). 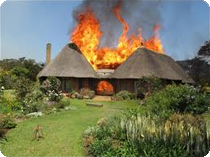 Everyone in your family should be aware of your home emergency plan. You can define and share your home emergency plan with members of your family at ICEcare.net, and retain it within ICEcare on your mobile phone or iPod Touch.